In our review of the Faction Dictator 3.0, we noted that this was one of the most “game-on” skis that’s currently on the market. It is a light, powerful ski that will punish mistakes, but that will reward skiers who have strong legs and strong technique. And we noted (with eyebrows raised, and with some excitement), that, in the design of the wider Dictator 4.0, Faction showed zero interest in deviating from that formula. Typically, when we’re looking at two skis in the same series, the question is how similar or different the two skis are — or how much consistency there is across all the skis in the series. And in the case of the 105mm-wide Dictator 3.0 and the 115mm-wide Dictator 4.0, the two skis are basically identical twins, with the primary difference being — by far — their width. Yep, the 4.0 very much appears to be — simply? merely? — a wider 3.0. Of course, we’ll see once we get these on snow how accurate that assessment is, but compare the specs of the two skis, and you’ll see what we mean. But hand flexing the two skis, you could be forgiven for concluding that the two skis basically have the exact same flex pattern; the differences are very slight. (1) Is the weight increase merely due to the fact that the 4.0 is wider? I.e., will the 4.0 feel equally light and stiff (and as unforgiving) as the 3.0, or will the extra weight actually lead to a difference in dampness and suspension on snow? (2) Or maybe the weight / stiffness combination will simply feel different given that, presumably, most people would typically be using the Dictator 4.0 in deeper snow? And for the record, Sam Anthamatten was reportedly very involved in the design process of the Dictator series, and he has been skinning up and skiing down some pretty gnarly lines on this ski, as you can see Here. Again, the rocker lines and tip and tail splay of the Dictator 4.0 are so similar to the Dictator 3.0’s that you could pretty much call them the same. Which is pretty interesting, since you could argue that as you go wider (and hence, presumably looking to use this ski in deeper snow), you might want to increase at least the amount of tip rocker, if not the tail rocker also. 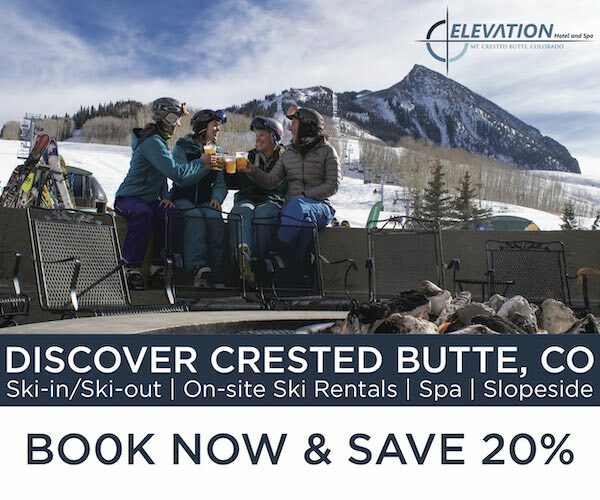 But that is not what Faction did here, and we have complained / wondered out loud on more than one occasion why skis have to have so much rocker these days, when a little can go a long way? 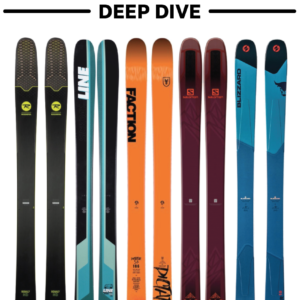 Well, the Dictator 4.0 certainly stands out as an exception for those who think that wider skis are often (a) too rockered) and (b) have shovels that go too soft. Neither of those things is true of the Dictator 4.0, and I can’t immediately think of another ski we’ve reviewed that is this wide and that has so little tip rocker. So Moment has been a little coy about the availability of the Governor, but the fact is that you can still get your hands on a pair, and this comparison would be super interesting. The specs of the Governor and the Dictator 4.0 are extremely similar — dimensions, weight, mount point, sidecut radius — with the biggest differences being (a) their construction, (b) the Governor’s tips are more tapered, and (c) the Governor is not this stiff. We repeatedly talked about how the Governor was not some beast of a ski, and we are very curious to see how the two skis compare in terms of stability, forgiveness, suspension, quickness, and smear-ability. The 189 cm Kore 117 is lighter and has more tip rocker than the Dictator 4.0, but they are both stiff, directional skis that serve a similar purpose. While the Scrapper is quite similar in terms of stiffness as the Dictator 4.0, the Scrapper 115 has more tip and tail splay, which should give it an advantage in deep snow, and should also make for a surfier ride. 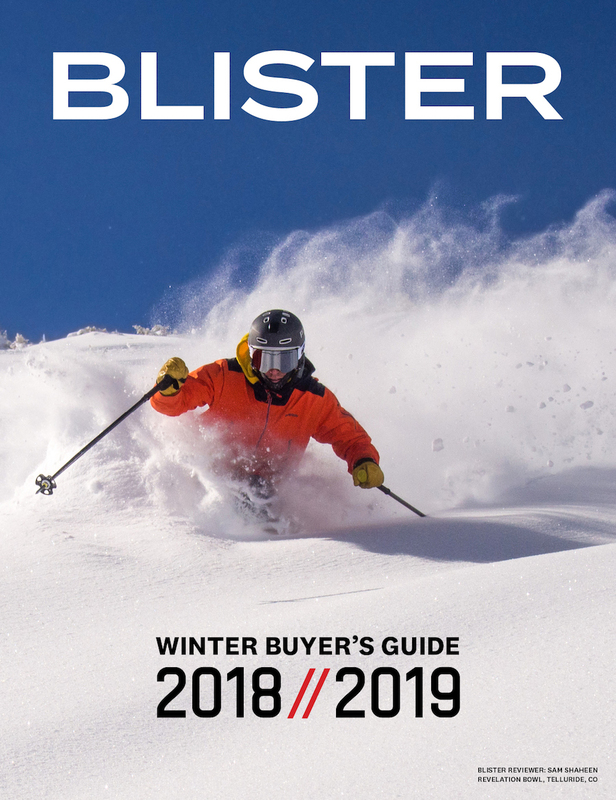 It’s also coming in quite a bit lighter than the Dictator 4.0 (Scrapper 115 = 1910 & 1941 grams), which could appeal to those who are looking for a touring ski. But the major question for us is whether the rocker profile and lower weight of the Scrapper 115 will mean that it simply can’t hang with the Dictator 4.0 in terms of stability in variable conditions. We don’t know, but it’s sure going to be fun finding out. Lots of ski companies are talking a big game these days about “all-mountain charging,” but few companies are currently putting out designs that seem to be this serious about it. Now we just need to get the Dictator 4.0 on snow and find out exactly what this thing can do. 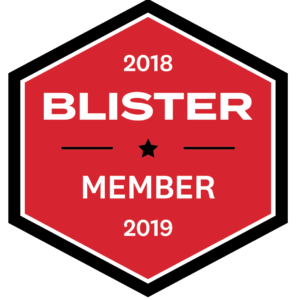 Blister members can now read our initial on-snow impressions in our Flash Review of the Dictator 4.0. Profile reminds me of my old Line Influence 115s. Did anyone on the Blister team ever ski the Dictator predecessors? I have skied the Ten5 (which I understand to be effectively the predecessor to the Dictator 3.0), which I bought end of last season, about 10 days in the Alps this winter, and they are super fun. They feel perhaps a bit more versatile and forgiving than your 3.0 review might imply. Comparison to the bodacious seems in place? What would interest me to see investigated in detail some more is the so-called ‘athlete flex’. Although ski companies are making their products lighter , i’ve been told that certain athletes skiing those same models ski way heavier (and stiffer) versions of those skis. This is for example (rumored to be) the case with Jeremie Heitz’s Scott Scrappers. And I wouldnt be surprised if the same holds true for Sam Anthamatten (and Johnny Collison’s) Dictator or the Head Kore we see on the FWT. I own the dictator 4.0s in the 192cm (being 5’8″ myself) this is a big and seriously stiff ski. It shreds crud and they feel like missiles under your feet on groomers. These are a real race construction ski that is actually capable of holding an edge on World Cup race ICE. (wore them while volunteering on slip crew during race days). Although I haven’t had any seriously deep days on these skis, the have been an awesome in bounds charging ski, which is fantastic for my home hill of Kicking Horse, Golden BC. If you like to go fast and take chances, this ski is something you have to try. Curious how these would compare to the metal 191 Katana’s from few years back? Or current Volkl Confession? Katana’s have been my daily driver for Tahoe conditions and looking to replace with something comparable..
* I can do side-by-side flex comparisons later, but I believe that the shovels of the Katana will be softer. 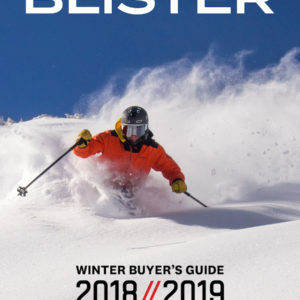 Surprisingly, this ski is listed as a Finesse Pick by Realskiers in their powder category, though they did test it in the ridiculously short 180 length. Blister and Realskiers are kind of my two go-to sites for no BS reviews, though typically from pretty different perspectives, so I eagerly await you guys getting these on the snow. Also, minimal tail rocker. Love me some of that! Hey, Tom – I just stumbled across this comment, and … all I can say is that calling this ski a “Finesse” pick … that very much makes me question what is going on over there. There are a lot of “finesse” skis on the market. This isn’t remotely close to being one of them. How would this compare to the atomic automatic?